In this Article, We explain the relationship of gum diseases ( periodontal ) to other disease, in addition we define it in details, explain its causes and provide with the proper treatments. Periodontal is a word meaning “around the tooth.” Periodontal disease is a condition in which the tissue (gums, deeper supporting tissue, and bone) around a tooth or teeth become infected and inflamed. 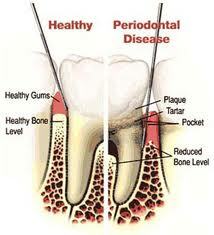 Periodontal disease includes both Gingivitis and periodontitis. Periodontal disease such as gingivitis and periodontitis is a silent disease that can lead to tooth loss, cancer, heart attacks, strokes, and the list goes on. 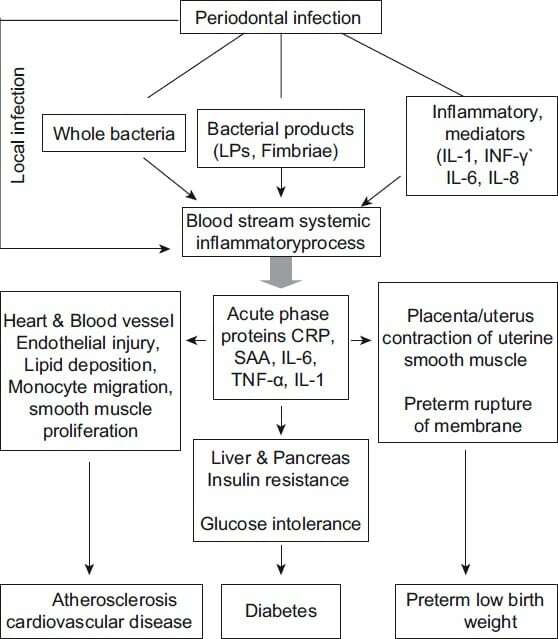 It is estimated that about 85 percent of the population has some stage of the disease. Periodontal disease may start in your mouth, but can spread throughout your body and cause or increase the risk of many life-threatening illnesses. The treatment and management of periodontal disease involves lifestyle changes, medications, other treatments, alternative and complementary therapies, and possibly surgery. A Dental Student at Liaquat University of Medical Health Science, Pakistan. Her aim is to improve her horizon in the dental field beyond her scope and improve the Dental community health through her hobbies of writing and painting.